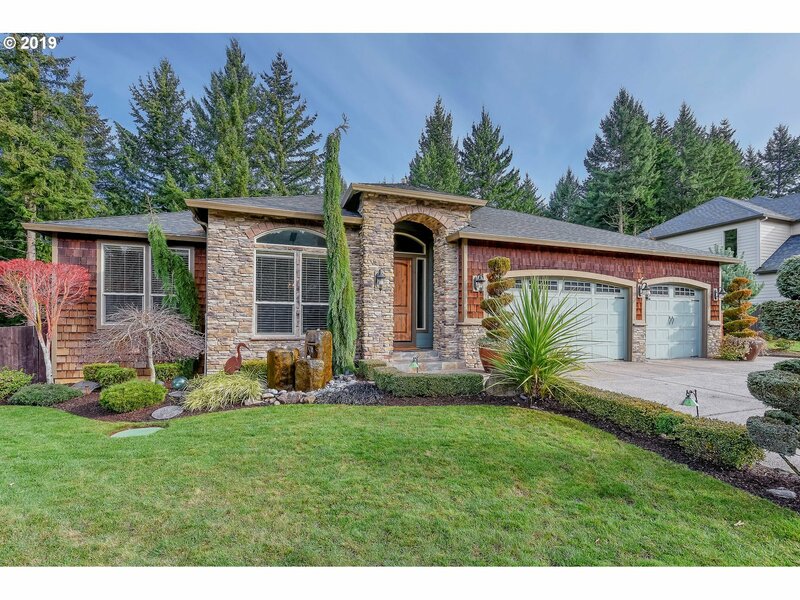 Gorgeous home in highly desired Camas neighborhood. Natural light throughout, tons of space, privacy, and an open layout perfect for entertaining. Towering windows, gourmet kitchen, stainless appliances, granite counters and beautifully crafted cabinets. Master suite on main and a huge open daylight basement! Private backyard backed to green space offers views of Lacamas Lake. Miles of paved and dirt walking trails right in back yard!